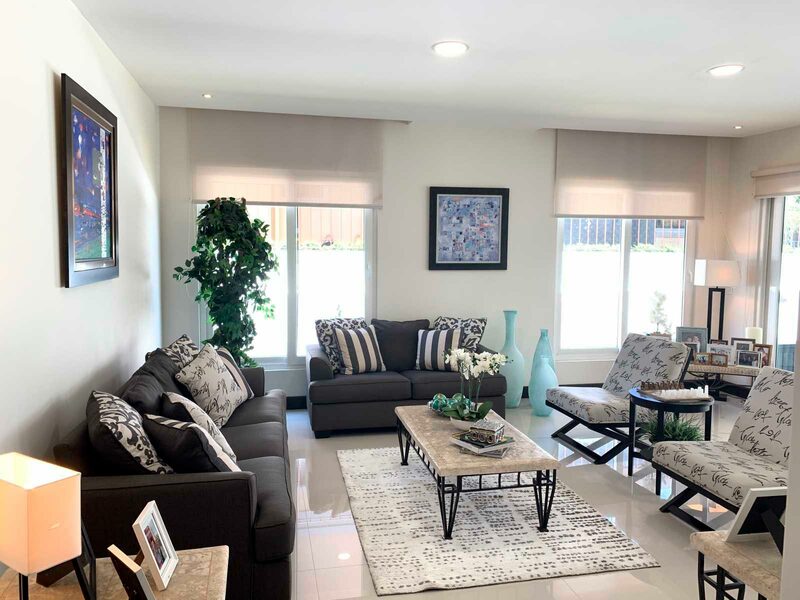 Cozy contemporary style house in the exclusive Hacienda del Sol complex just minutes from malls, corporate centers, private hospitals, and clinics. House with contemporary style with 460m2 of construction, built 5 years ago in exclusive Hacienda del Sol. This home count with a beautiful integrated social area. A spacious living room to receive your guests opens up to the ample terrace and garden. In the room next door you will find a dining area with also sliding doors providing exquisite views of the garden. The kitchen has contemporary Italian furniture with big windows allowing to illuminate the room. It counts with a breakfast table, a bar and an adjacent cozy tv room with a couch. On the second floor, you’ll find all the bedrooms. The master room is spacious and comfortable. It has a reading or rest area very well illuminated. It includes an ensuite large bathroom with 2 sinks, shower, jacuzzi, toilet, and separated by a door a large walk-in closet. 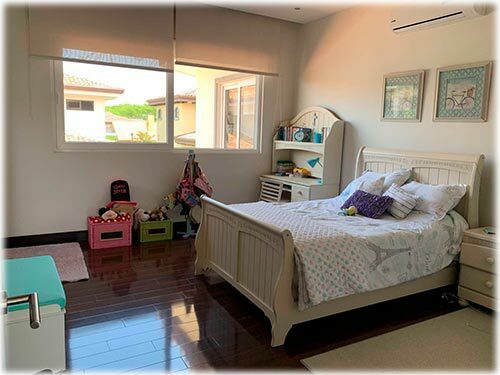 There are 2 secondary rooms of with walk-in-closets and the guest room includes a full closet. All of the rooms have their ensuite bathrooms and air conditioning. The house counts with office space with its full bathroom that can also be used as another guest room. A laundry room with space for a washing and drying machine, ironing area, and several storage shelves. 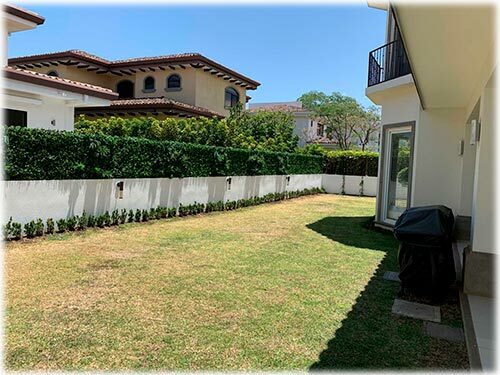 There is a service room with a private bathroom, tank underground water with a hydro-pneumatic pump and water heater, internal garage for 2 vehicles and capacity of 4 additional outside.